All spacious rooms have access to the private garden (5000 sqm) and pool and are equipped with shower and wc. They are all fitted with beds (90 x 200). 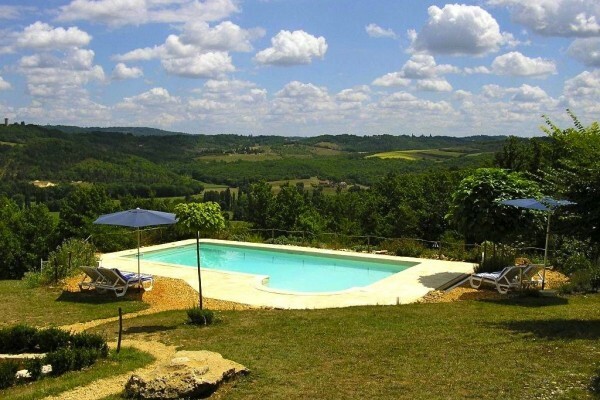 Both, from the swimming pool (5 x 10 m) and from your room, you can enjoy the magnificent view over the valley. Every room has its own terrace with table and chairs. Whether you want to visit one of the five castles in the vicinity for example (like Les Milandes, where Josephine Baker founded a home for her orphaned children)or discover the countryside on bike or horseback, or fancy a canoetrip on the Dordogne or Céou river – it is all possible, including 4 golfcourses, right here in the immediate neighbourhood. The standard rate € 75 - € 85 per room per night (on the basis of 2 persons, minimum of three nights) includes a gastronomic breakfast. Smoking is not allowed inside the house. Domestic animals are not allowed. No experiences yet with Les Trois Collines. Be the first! Did you stay in Les Trois Collines? Let us know what you thought about it and help others to make the right choice! * I confirm having stayed in Les Trois Collines. 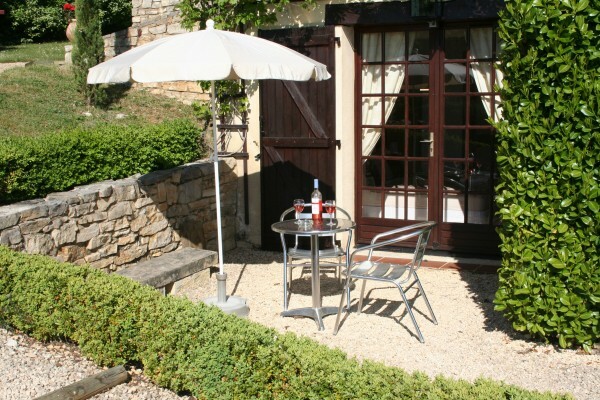 Find other bed & breakfasts in Saint-Cybranet, all bed & breakfasts in Dordogne or all bed & breakfasts in Aquitaine.